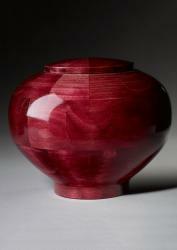 This beautiful cremation urn has a calm and cooling design. 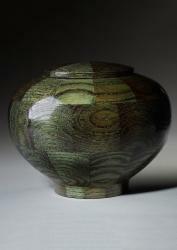 Steve Shannon personally handcrafts and turns the urn. 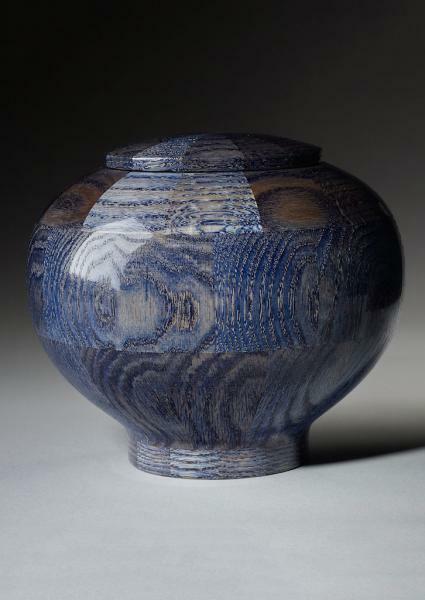 Afterwards, the wooden artistic urn is dyed a vibrant blue, and the finished result is reminiscent of flowing blue water. 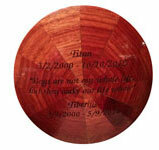 This breathtaking wooden urn is available in small, large, and keepsake sizes. Urn jewelry available at Etsy Charmed Wife Shop. I had ordered the Peony Blue Keepsake Urn with engraving on the top. It is absolutely beautiful! Course I tried to screw off the top before reading instructions so that might be something to call attention to when unwrapping. I was kind of expecting something in the interior but guess you can place the velvet bag with the ashes inside as is. Thank you for a special piece for a special dog Winston! This is actually the second urn we have purchased from The Steve Shannon Collection. 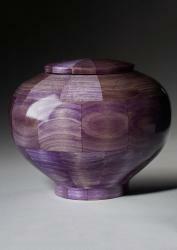 The first was the Peony Purple Urn. When our lab passed away recently, I knew we had to get a matching urn, but in blue for him. The urns are exceptional and look like art pieces on our mantel. Both are perfect resting places for our fur-babies. 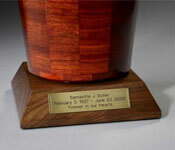 This is a absolutely beautiful handcrafted urn that was perfect to honor my son. Thank you so much . . .